Gregor Townsend has named his Scotland squad for the forthcoming Guinness Six Nations, with seven uncapped players called up. 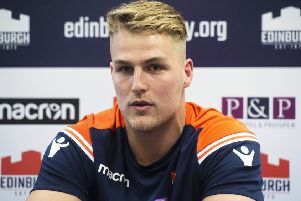 Three uncapped hookers - Edinburgh’s David Cherry, Jake Kerr of Leicester Tigers and Glasgow Warriors’ Grant Stewart - have been included after impressive breakthrough seasons for their clubs. 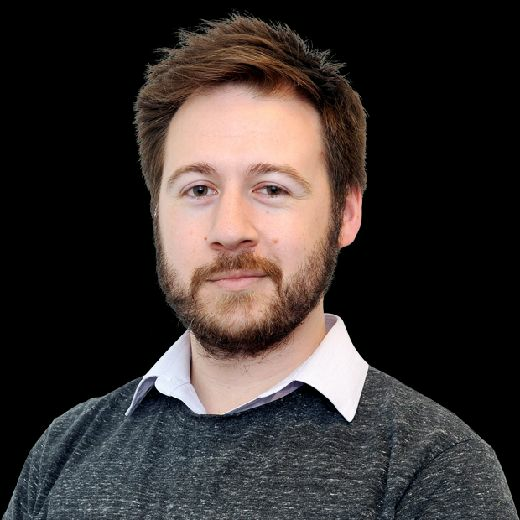 Townsend is without the services of injured hookers Fraser Brown and George Turner, who are among a lengthy casualty list of 19 players that also includes the likes of John Barclay, David Denton, Zander and Matt Fagerson, Richie Gray and Matt Scott. Stewart’s Scotstoun team-mates D’Arcy Rae and Sam Johnson have also been named in the squad and are joined by fellow returning uncapped players Gary Graham of Newcastle Falcons and Edinburgh centre Chris Dean. Johnson was ruled out of the Autumn Tests last year through injury while Graham was an unused addition in the middle of the series. Rae and Stewart were part of the 2017 and 2018 Summer Tour squads respectively but didn’t make an appearance. Former Under-20 caps Cherry, Kerr and Dean are the only players in the 39-man squad to have had no previous involvement with the senior national side. There’s also a first Scotland call-up since the 2018 Six Nations for former Edinburgh back-row John Hardie, now with Newcastle Falcons, while Jonny Gray and Tommy Seymour could both reach the 50-cap milestone during this year’s tournament. Townsend said: “There’s certainly been a lot of improvement from this group of players in recent seasons and I believe there’s much more to come. They’ve a genuine desire to get better and reach their potential in what is a huge year for our sport. Alex Allan (Glasgow Warriors), Adam Ashe (Glasgow Warriors), Simon Berghan (Edinburgh), Jamie Bhatti (Glasgow Warriors), David Cherry (Edinburgh), Allan Dell (Edinburgh), Grant Gilchrist (Edinburgh), Gary Graham (Newcastle Falcons), Jonny Gray (Glasgow Warriors), John Hardie (Newcastle Falcons), Jake Kerr (Leicester Tigers), Stuart McInally (Edinburgh), Willem Nel (Edinburgh), D’Arcy Rae (Glasgow Warriors), Jamie Ritchie (Edinburgh), Sam Skinner (Exeter Chiefs), Grant Stewart (Glasgow Warriors), Josh Strauss (Sale Sharks), Tim Swinson (Glasgow Warriors), Ben Toolis (Edinburgh), Hamish Watson (Edinburgh), Ryan Wilson (Glasgow Warriors). Chris Dean (Edinburgh), Darcy Graham (Edinburgh), Nick Grigg (Glasgow Warriors), Sam Johnson (Glasgow Warriors), Chris Harris (Newcastle Falcons), Adam Hastings (Glasgow Warriors), Stuart Hogg (Glasgow Warriors), George Horne (Glasgow Warriors), Pete Horne (Glasgow Warriors), Huw Jones (Glasgow Warriors), Lee Jones (Glasgow Warriors), Blair Kinghorn (Edinburgh), Greig Laidlaw (Clermont Auvergne), Sean Maitland (Saracens), Ali Price (Glasgow Warriors), Finn Russell (Racing 92), Tommy Seymour (Glasgow Warriors).